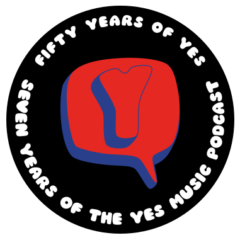 The one hundred and fifth episode of the Yes Music Podcast, featuring various renditions of the track, America’. Listen and see if you agree with my take on the performances, then let me know by contacting me via any of the different routes on the right hand side or by leaving a comment below! Is live always better than recorded? How do changes in band members affect the performances? Is this the best of the cover versions? Enjoyed this… still think the version on Fragile (as a bonus track with extra vocals) is best though. Can I nominate either ‘Heart of The Sunrise’ or ‘Yours Is No Disgrace’ as the next track through time ? Thanks Paul. You can nominate whatever you like… 😉 I will have to check out that version of America. Yes I should always remember to check out that amazing site! Thanks for the comment. Hi Ken, I have just looked at Forgotten Yesterdays. That is an amazing work of epic proportions to collect/display that amount of data on Yes live dates. I checked out my only Yes gig – 06/28/1991(USA date format) Wembley Arena UK – flyers and ticket stubs and setlist!! I remember looking around at the interval and thinking – we all look roughly the same 40-60, male, greying or balding, jeans/t-shirt/paunch ! I hope the Yes band members are taking the time to listen in. Your shining words, like a mirror, should give them the same high inspiration and entertainment for the music we have enjoyed all these years. America is one of my personal fav’s for it’s flawless execution. On ‘The Word is Live’ America there is a guitar phrase at the end that presages Roundabout’s closing and in doing so becomes Steve’s ultimate string signature. Great to hear it and anticipate. For future episodes I’d love to hear discussion on the following question. If there was to be a TFTO revisit/edit, what would you preserve and what would you alter? If not the 20min/4 side format, would the composition have been conceived different scale? Thanks so much for the comment, Ken. Wow – that’s a real challenge on Tales. Listen to the Sid Smith interview this week for some news on that… The topic you suggest sounds like a great one for another Yes Fans’ Round Table – maybe I should sort one of those out again…I’ll invite you, of course! Next Next post: Episode 106 – An interview with Schnauser!